We all know the fresher our food is, the healthier it is for us. And let me tell ya, you don’t get any fresher than harvested right before supper! RancherMan & I decide each year what veggies we’ll grow. I make sure to plant things we like to eat! This year we’ll be planting different kinds of tomatoes plus onions, bell peppers, jalapenos, pablano peppers, watermelon, cantaloupe, green beans, corn, pumpkin, zucchini, yellow squash, spaghetti squash, okra, asparagus, spinach & carrots along with various herbs. 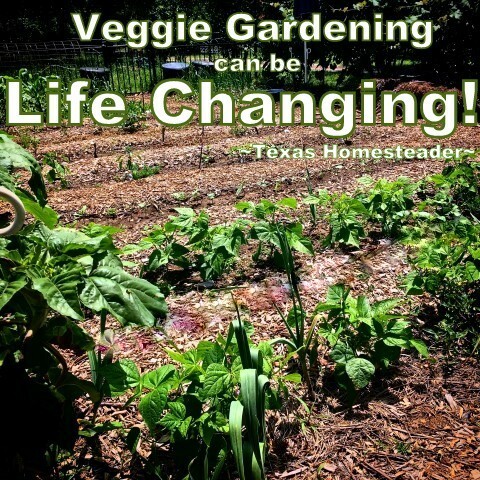 What’s going into your garden this year? Money’s tight for many folks. So for many families the best money spent is the way that gives you the most bang for your buck. 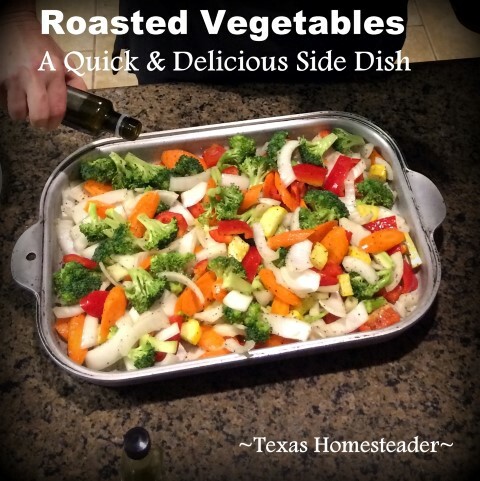 Just price that fresh produce in the store for one meal of roasted veggies. 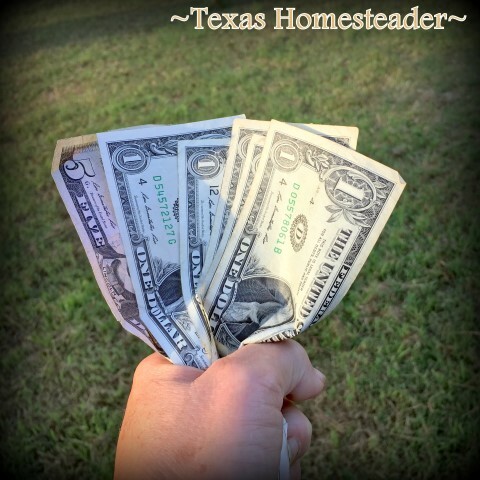 You’ll see that you can buy lots of seeds for that money to give you fresh produce all season long! And you can grow lots of food from that one packet of seeds. Plus if you’re growing heirloom plants, you can save that seed and replant for the same great results every year. Everyone knows eating right & exercise is important for a healthy body. But why join a gym? Not only is there the expense of gym fees, but also the transportation cost to drive to a gym to exercise. Plus there’s all that time spent away from your home! But your garden can give you the healthy exercise your doctor recommended for free. 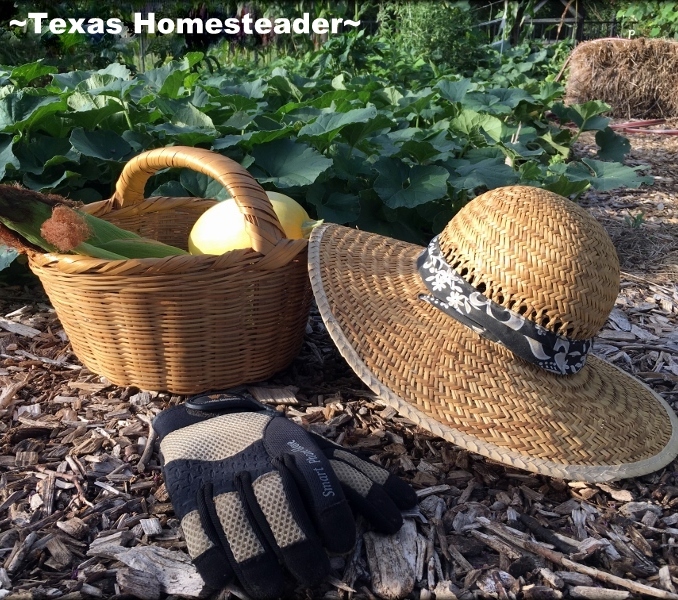 Tending to your garden by digging, planting and weeding gives your body the workout it needs, and healthy food to boot! We’ve all done it – that zucchini is relished when it first starts producing. But after a while you find yourself growing tired of the excess. Why not share with your community? A couple of years ago I started a program called my ‘Blessing Basket’. One day each week I put the day’s garden harvest into a basket to take to our church to share. Many people there are older or no longer garden & they love this fresh produce! 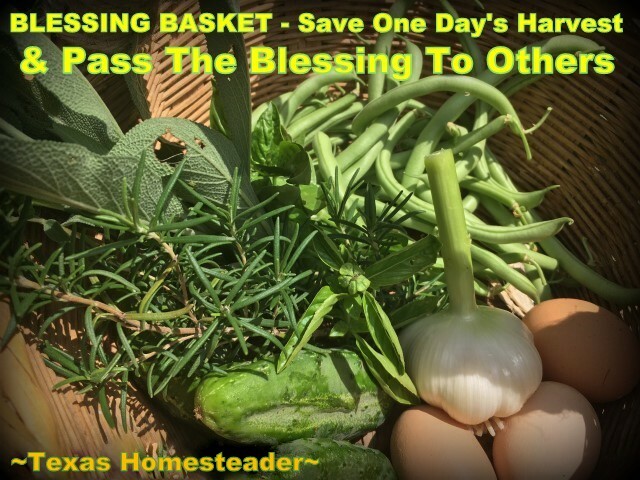 A typical Blessing Basket might hold the eggs my hens laid that day, a few yellow summer squash, some cantaloupe, a handful of tomatoes, a couple of cucumbers and some fresh green beans. And I often add fresh herbs such as rosemary, basil and sage. I let my church friends choose whatever they want from the basket. It’s always empty when I take it home! I challenge you gardeners out there to do the same. Share one day’s harvest with your book club, garden club or just the neighbor down the street. So there you have some very convincing reasons to plant a garden. Healthy food for you & your family, a break in your food budget, exercise to keep your body healthy & community sharing to strengthen your social life. If you’ve been on the fence about starting a garden I hope this encourages you to take the plunge. Get started today! Tammy, you are so right about gardening. Here in the NW we don’t manage quite all the same fruit and veg that you get, tho one year a cantaloupe grew out of my compost. The only fruit was one about the size of a tennis ball. Even the city living years of my life included compost and what ever veg (always tomatoes) I could fit in. No more manicured lawn in my life now. Now we have space to try things and even if it’s a failure it still feeds the compost and like you said a lot of food comes from a packet of seeds. Our dear neighbors down the road have a big hoop greenhouse and sell from a stand at their place. They are also super generous with the things they grow and we trade back and forth. I’m the soup woman so I’m often using their goodies in a big pot of soup and taking a quart of it to them. Life in the boondocks is good!! !